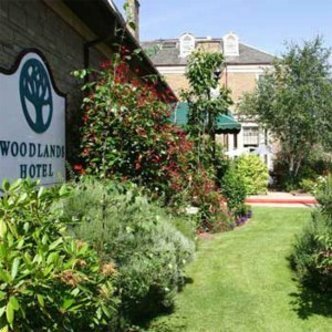 ***Our rates are per room, per night and are room only unless otherwise specified*** The Best Western Woodlands Hotel is one of Dundee's finest hotels and during the last few years, the property has been tastefully extended and refurbished in 2007 to provide a comfortable country house atmosphere. A varied choice of dining styles awaits you in either the Restaurant or for a light meal the Bar lounge area. Our 38 well appointed bedrooms all include en-suite facilities and services including satellite television and tea as well as coffee making facilities. The Best Western Woodlands Hotel has a superb indoor leisure club with swimming pool, whirlpool spa, sauna, steam room, solarium and for the more energetic, a fully equipped gym. The hotel now has free wireless high-speed Internet throughout the hotel. The main function suite, with full support facilities, offers a versatile venue for dinners, receptions, conferences and seminars, or our smaller function suite - the Wyldes is the perfect location for family gatherings and dinners of seminars. Located only six miles from Dundee City Center, the hotel is within easy reach of Glamis Castle, childhood home of the Queen Mother, or Captain Scott's famous vessel - the Discovery. Close by to Championship golf courses including St Andrews and Carnoustie.